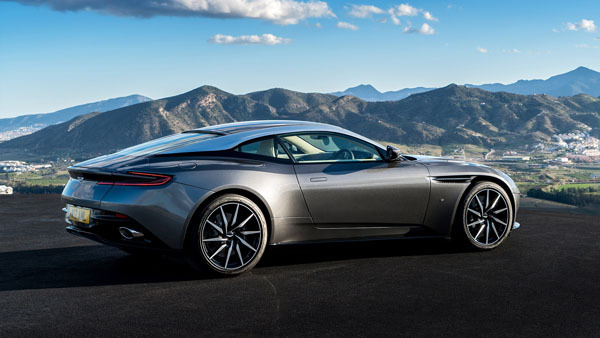 The Aston Martin DB11 has finally received its American passport, and has made its way over to grace us with its effortless beauty and its 600 horse-power aptitude. It was 13 years ago Aston Martin bestowed the DB09 to the world, and after 13 years, it was time for a reinstatement, and it doesn’t get any clearer than the DB11. If you’re looking for style, grace and elegance, with all the power, torque and technology, the Aston Martin is the perfect choice. Beneath the long, expansive clamshell hood hides a 5.2-liter, twin turbocharged V-12 that delivers a hearty 600 horsepower. All that power is routed to the rear wheels through an eight-speed transmission, mounted in the back for better weight distribution. With the merger of power, drivetrain and grip, this magnificent machine reaches a top of 200MPH, and can hit 0-60 in 3.9 seconds. Inside, is a beautiful space, filled with natural materials, expert craftsmanship and state-of-the-art technology providing the ultimate in comfort and convenience. Designed for life, this beautiful piece of British intelligence has a luggage compartment capable of swallowing two golf bags and with the capacity of fitting two child seats, this car is family friendly and the best in its class. Look for the $214,820 DB11 at the Aston Martin showrooms. McLaren is known for its super cars like the 650S predecessor, and the 720S, which reach top speeds of 212MPH and 0-60 in 2.9 seconds and cost more than you want it to. But now, McLaren has released a new, stylish and affordable sports car, for the everyday man, complete with the technology and interior designs you desire. The 570GT is an exquisite car, shapely in design and wicked fast. From the dihedral doors that swing open to reveal the buttery leather interior, which invites you to get behind the wheel of this twin-turbo 3.8-liter V8 engine that produces 562 horsepower and 443 pound feet of torque, to the panoramic roof, which adds more light and a sense of space, the McLaren 570GT is the perfect balance of speed and style. With the added hydraulic system, navigating driveways is a breeze and carefree measure. The 570GT is designed for a driver who yearns for an ultra-high performance car, yet still needs superior levels of luxury and comfort, and refinement for longer journeys. With breathtaking performance, the 570GT operates the unique role of classic grand tourer while providing the agility of a super car and all the pure fun of driving a fast car. 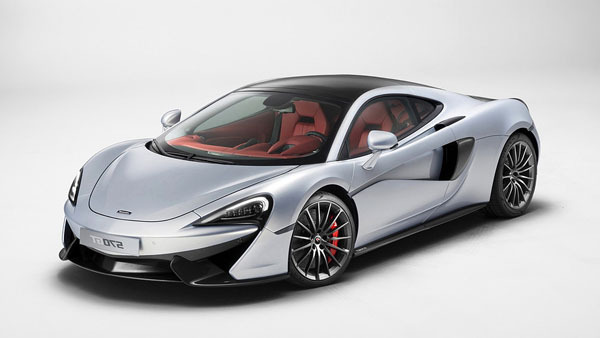 The McLaren 570GT is the most affordable of super cars at a mere base price of $200,000. Reinvigorate your body and soul with an inexplicable journey guided by the luxurious Rolls Royce Dawn inspired by fashion. Every element of this exquisite piece of machinery is thoughtfully and beautifully designed to offer patrons comfort and unmatched luxury. The spirited youthfulness of Rolls-Royce Dawn is an attitude it shares with some of the world’s most celebrated, avant-garde fashion designers—blending timeless style with high power to make a bold statement. There is no look more striking that crisp Andalusian white glossy paint and ultra-luxe fabric, accentuated with the most vivid colors of Mugello Red, Mandarin Orange and Cobalto Blue. Transform your surroundings in 20 seconds when the soft top folds in, the immersed sights, sounds and scents around you come out. With a V12 twin-turbo and 6.6-liter engine under the hood, this cat has a soft purr but a mighty claw reaching speeds of up to 155MPh and a 563 horsepower capacity to get you where you need to be. 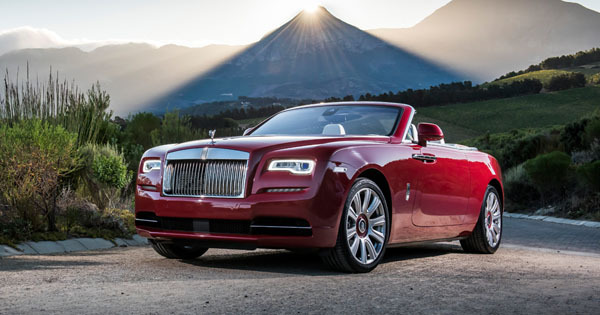 The Dawn inspired by fashion, is Rolls Royce’s dynamic charm, with an unexpected twist and sociable nature, making it an exhilarating experience for anyone who lies in its wake. Starting at $341,125, the Dawn is the luxury and comfort you seek with all the power you need. Bugatti has built a reputation for producing some of the most exclusive and fast cars ever made. 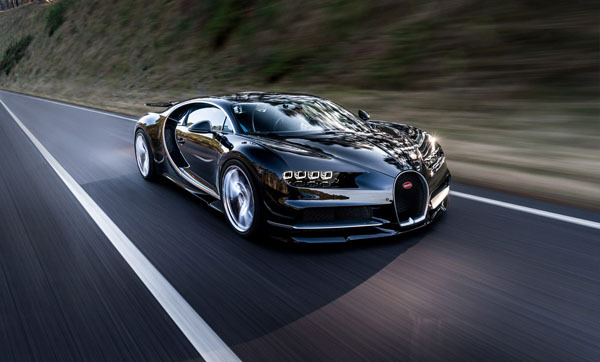 This year, they push the limits with the creation of a quintessential ultimate super car known as the Bugatti Chiron. Ultra-modern, incredibly fast, agile and powerful with a stylistic design and the highest possible levels of comfort, the Chiron is the most modern interpretation of Bugatti’s brand, heart and soul and embodies the new design language of Bugatti. The feat to overpower its predecessor took the form of the W16 engine, with 16-cylinder configuration, 4 turbochargers with a maximum torque of 2,000rpm and 1,500 horse power, this luxury super car brings a whole new meaning to the word super with its unbelievable acceleration. Costing around the $3 million mark and only 500 planned to be built, this incomparable machine breaks new dimensions pushing supercars into the future. Mercedes Benz started the ‘four door coupe’ back in 2006 with the CLS class, but BMW was the first to apply it. Now Mercedes is competing with AMG GLE 63 S Coupe—a fusion of racing-bred tenacity and finely tailored luxury, with unbelievable comfort. The coupe offers a mix of verve and versatility beneath the arching rooflines and muscular shoulders of this non-traditional coupe. With 577 horsepower behind the throttle and a torque of 561 pounds per feet, the AMG Coupe is born to perform, with added multiple modes, for all driving moods, including, sport, sport+ all selected through the twist of a console control making it effortless in capability. As for the design, the sleek, sensuous and self-confident coupe is tough on the outside but soft and cosy on the inside with generous cabins for space, a panorama roof to bring in the sky and advanced technologies to help smooth every move, making your ride as swift as the wind, with transcendent luxury. 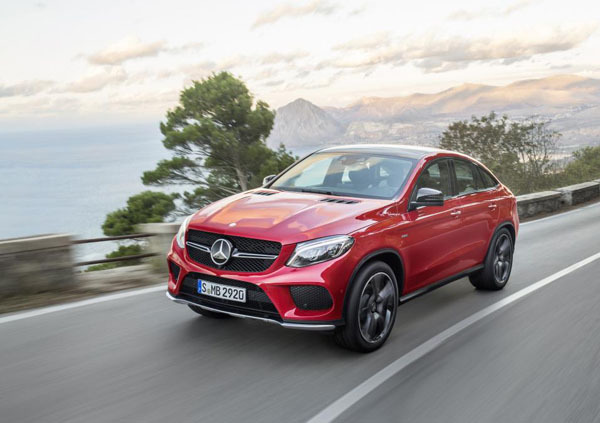 Take a spin in the Mercedes Benz AMG GLE Coupe at your local Mercedes- Benz dealer. 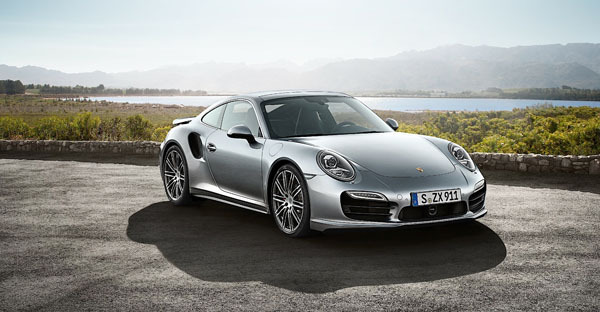 If luxury, comfort and singularity is what you are after, look no further than the Porsche 9 1 Turbo S exclusive series. This shiny gem packs a punch with 607 horsepower and a top track speed of 205mph. The exclusive golden yellow metallic exterior (other color options available) is guaranteed to be a standout on the road. A carbon fiber body provides lightweight construction from the front to the rear wing, and the additional contouring inside the two carbon fiber-weave stripes accentuates the luxury sport look of the Porsche 911. On the inside style and finesse adheres to the black leather interior. The detailed stitching of golden yellow is a subtle reminder of the exterior color, which can be found on the dashboard, door trims steering wheel rim and steering column casing. An especially exclusive detail adorns the decorative trim above the glove compartment and is a testimony to the individuality of the 911 Turbo S Exclusive series: the limited-edition plaque with personal model number. Foresee an appointment to Porsche for a tailor made experience with unmatched exclusivity. Meet the 21st century super car, offering speed, style and sustainability. The BMW i8 plug-in hybrid is insanely fast, despite only having three cylinders. The i8 employs electric motors front and back, the gas engine in the back, two transmissions and lithium-ion batteries running through the middle of the cockpit. 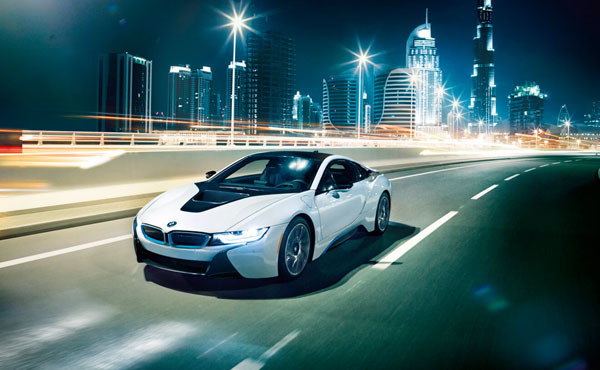 As a plug-in hybrid with eDrive, the BMW i8 gets up to 76 MPGe fuel efficiency, far beyond conventional sports cars with comparable performance. A carbon fiber body molds the striking exterior providing sleek contours aiding in efficient dynamics dedicated to reducing drag and increasing streamflow for top speeds of the 155mph. With a charging time of 2.5 hours the BMW i8 energy is repurposed while driving to charge the battery from thrust, braking, or directly from the gas engine. The BMW i8 offers four driving modes, each tailored to your driving preference including a sport mode for an intense boost of adrenaline. This super-efficient car is more than practical and green, the interior offers both style and comfort with luxurious accents of cream leather, subtle hints of BMW blue and black and a state of the art dashboard. Don’t take our word for it, head down to your local BMW dealer to try it for yourself.